We are fortunate to have a caring, committed staff; supportive parents and carers; and a skilled governing body who work in partnership to ensure the best outcomes for our pupils. Together, we encourage our children to be motivated to learn and to celebrate their achievements. Visitors to the school often comment on the high standards of behaviour, calm and productive atmosphere and the approachable, friendly demeanour of the whole school community. It is, indeed, a supportive, cohesive community, where pupils and staff from a diverse range of backgrounds and faiths enjoy learning together in harmony. 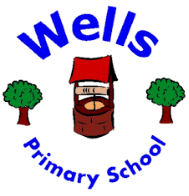 The best way to learn more about Wells Primary is, of course, to see the school in action and to meet some of staff and pupils. Please note that the school currently has vacancies at the nursery.